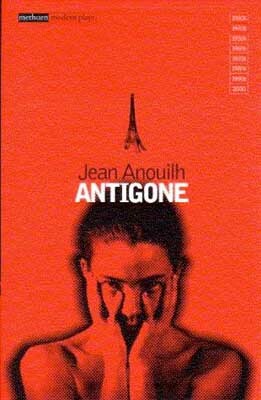 Based on Sophocles' ancient Greek tragedy, Antigone which was first performed in Athens in the 5th century BC, its theme was nevertheless topical. For in Antigone's faithfulness to her dead brother and his proper burial and her reiterated "No!" to the dictator Creon, the French audience saw its own resistance to the German occupation. The play is regularly performed and studied around the world. The Greek dramatists still speak to us. Even though Shakespeare is closer to us in time, I think the Greek may be more universal in their meanings. Hamlet: Why, then 'tis none to you; for there is nothing either good or bad but thinking makes it so. To me it is a prison. There s daggers in mens smiles. I was thinking about my comment after I posted it, and wondered why it had occured to me that the Greeks might have more univeral appeal than Shakespeare. Granted, The Bard is full of insight, but it's hard to get at for the average reader. Part of the problem language. We can't tamper with Shakespeare's language because it's too closely entwined with what makes him great. But it does take work to get through the archaisms and the sometimes oblique structure. The advantage of the Greek plays is that they *must* be translated into something resembling contemporary speech, and so are more accessible. Aside from language is intent. Shakespeare had to entertain, where the Greek tragedies had a specific, ritualistic purpose: to bring about catharsis and unite the audience in something enobling. The spare structure of the plays worked toward that end, avoiding unnecessary plot complications. ¿Es un sitio muy informativo, verdad? ¡Y incluye una versión en español, también!